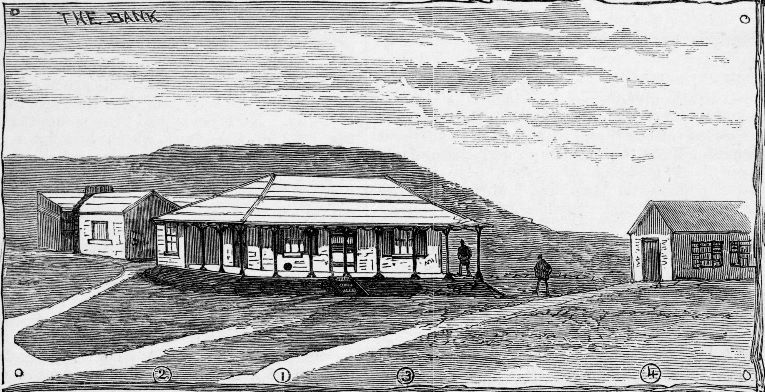 And so the above account from 1885 sets the scene for one of the most mysterious murder cases in 19th century Western Australia. The sub-pages in this “Motive and Musings” section may be subject to change as new information comes to hand. Also, as I have collected such a large body of documentation from various sources I have no doubt that I will come across new points or ones that I have missed earlier and these may well change my ideas too. There have been many twists and turns in the story of the Roebourne bank murders. And just as in the game of Chinese whispers, with each retelling of the story details changed as is evidenced in brief newspapers articles written years after the fact. There was a lot of hearsay and so many red herrings in the form of alleged eyewitness testimonies and stories. All these factors contributed to “muddying the waters”. Maybe the biggest red herring in the whole story was the Union Bank itself. That such a murder was committed by a person or persons of the “lower class” or of the “Asian class”: the later class being viewed by many of that time as being the lowest of the low. This prejudice dictated the way the ensuing investigation was conducted and as a result only certain lines of investigation were followed. Only people of a certain class were questioned vigorously. Evidence was sought to support an already preconceived notion and as a result three men were arrested and tried for the murder of Thomas Anketell on very flimsy circumstantial evidence. The Roebourne bank murders of Anketell and Burrup is a puzzle with many missing pieces. There are some gaping holes. For instance, other than knowing that both men were held in high esteem within the community we know nothing of their personal or business relationships. Thomas Anketell was possibly engaged to Margaret McCourt and we know that he was about to leave Roebourne due to declining health. Was she to follow? He was often at the residence of Alex McRae and Miss Isabel McRae his sister who also resided there. We know from the recollections of William Thomas, a former police constable, that Roderick McRae was one of Thomas Anketell’s best friends. The only other personal snippet of information we have between the two men is that Roderick McRae was in the possession of Thomas Anketell’s book of Byron’s poems. Thomas probably lent or gave it to him. Of course, with an unsolved murder case such as this, there were rumours. One of the most persistent of these over the years was that the murders were committed in order to secure/destroy certain mortgage papers. What was the basis of this rumour? It is a fact that a stack of blank forms and cartridge paper were found singed in the Union Bank (it was thought at the time that they were probably lit with the intent to burn down the premises, but being in such a tight stack the fire went out). The safe was untouched. With the retelling of the story, did the blank forms and cartridge paper became “mortgage” documents? Or, was there some kind of general knowledge within the Roebourne community that someone was having business difficulties and this is why this assumption of the burnt papers being mortgages was made? Another persistent belief was that Franz Erdsmann (alias Frank Hornig) was involved in the murders. Erdsmann had known Henry Burrup when they had both resided in Fremantle and was friendly with him when both were living in Roebourne. Erdsmann appeared to be very concerned over Henry’s death and offered to help the police with their tracking. He was also most interested in what was being done to find the murderers. It is only because Erdsmann murdered his Norwegian travelling companion two years later that his previous association with Henry came under scrutiny. The authorities were attempting to make this friendship a link to connect Erdsmann with the murders. How wonderfully convenient this would have been for those with a vested interest to wrap up the Roebourne murder case once and for all. The association between Henry and Erdsmann did not constitute evidence for murder. It is entirely plausible that the older and more experienced Erdsmann may well have had a genuine friendship with the young, gentle and likeable Henry Burrup who was so very new to Australia.